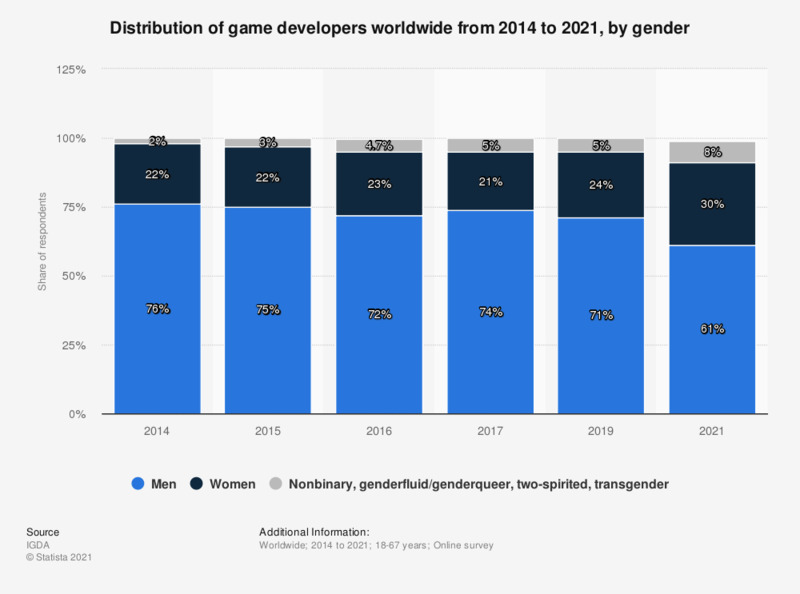 The statistic shows the distribution of game developers worldwide from 2014 to 2017, broken down by gender. In 2017, 74 percent of responding game developers were men, while 21 percent were women. Figures for periods other than 2017 come from earlier editions of the study.